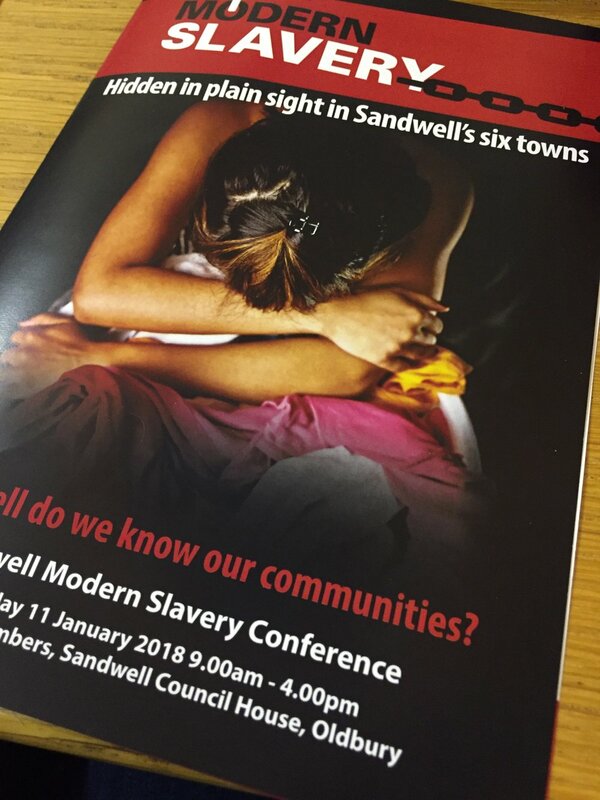 Last week Sandwell Council held a modern slavery and human trafficking conference, to highlight the issue to their staff and partners. Our Project Lead for the Diocese of Lichfield, James Henderson was there and sent us his thoughts on the day. "Sandwell is one of four areas that make up the Black Country, part of the West Midlands. Modern Slavery rates are high in the area, due to good transport links and relatively cheap accommodation. Sandwell Council drew together a number of partners including public bodies, law enforcement, charities and faith groups to increase awareness of this complex problem and explore solutions. It was an excellent day that was well attended by about 100 people. The need for training faith groups and food banks was identified, which we hope to follow up with partners soon." The Snowdrop Project supports survivors of modern slavery in Sheffield. In this honest and heartbreaking blog they talk about the challenges of supporting people when their request for asylum is refused. It's a stark reminder that just because a victim of slavery has been 'rescued', it doesn't mean their difficulties are over. A more positive story of a survivor who is now working for the Co-op through their Bright Futures project. In collaboration with City Hearts, the Co-op set up the project to give survivors stable employment which could be adapted to their often complex needs. Six people have been arrested in the North East after raids by police on what is reported to be a Lithuanian organised crime gang. They had been exploiting people by employing them to collect and sort charity bags in Newcastle and Gateshead, and controlling their wages and benefits. 12 victims are reported to have been safeguarded. An investigation by the Financial Times into child labour in chocolate production. They follow a brand called Tony’s Chocolonely, who are on a mission to stamp out child labour in chocolate production.